Looking super chic. Love the jacket and the shoes. I really love boucle and tweed! 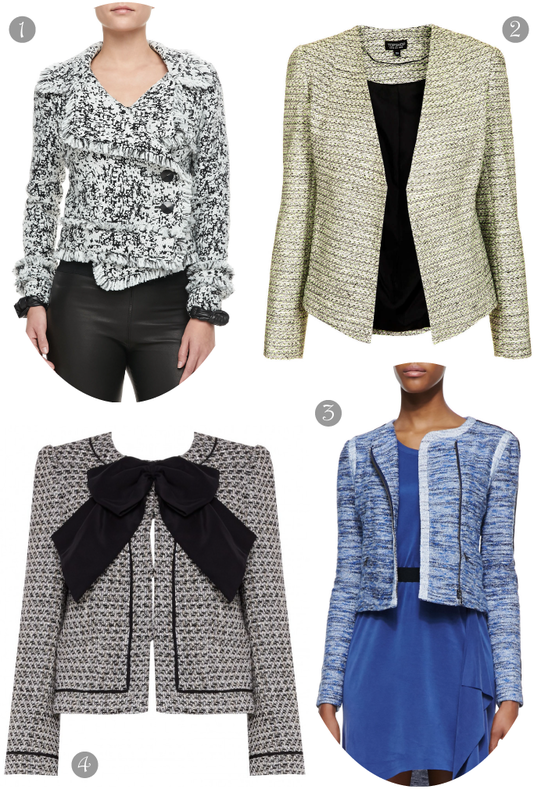 I completely agree…you can pair boucle jackets with just about anything. I have three of them myself! You look fabulous…professional but cool. Your hair cut is super cute! Ah man, that jacket is sweet! I actually have a very similar one that's casual/cool/fancy at the same time and I love it. Yours is precious, too!